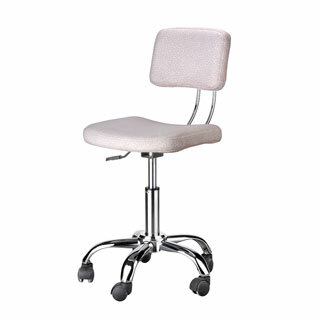 Simple and delicate, the Libra cosmetic stool has an elegant aspect, grace to its chrome-finished leg, curved backrest and pleasantly pale colour. Beyond its looks, the Libra stool's five wheels and height adapting handle make it impressively resistant and balanced. The MONO CET + RET device from L'Ortec Medical combines three technologies for optimal results in body contouring and facial treatments: CET, RET and RF. CET technology (Capacitive Electrical Transfer), recommended for use in the knee and arm area, comprises of including the treated area in a closed RF circuit, using a treatment head and a mobile electrode. This way, the temperature in the tissue rises, melting the fat which the body will drain afterwards. 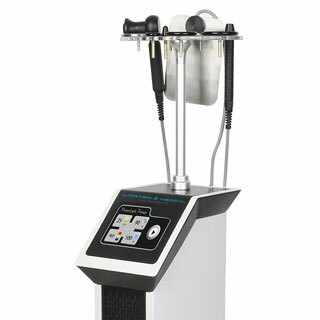 On the other hand, RET technology is different through the fact that the applicator is not isolated, the current being transfered directly into the patient's body, generating a stronger heat that goes up to 12 cm deep into the skin, and it can be used in treating cellulitis in advanced stages on the abdomen, thighs and buttocks. 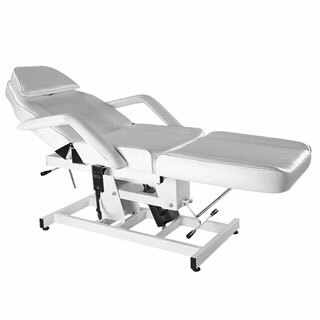 Orion cosmetic bed, with automatically adjustable height. 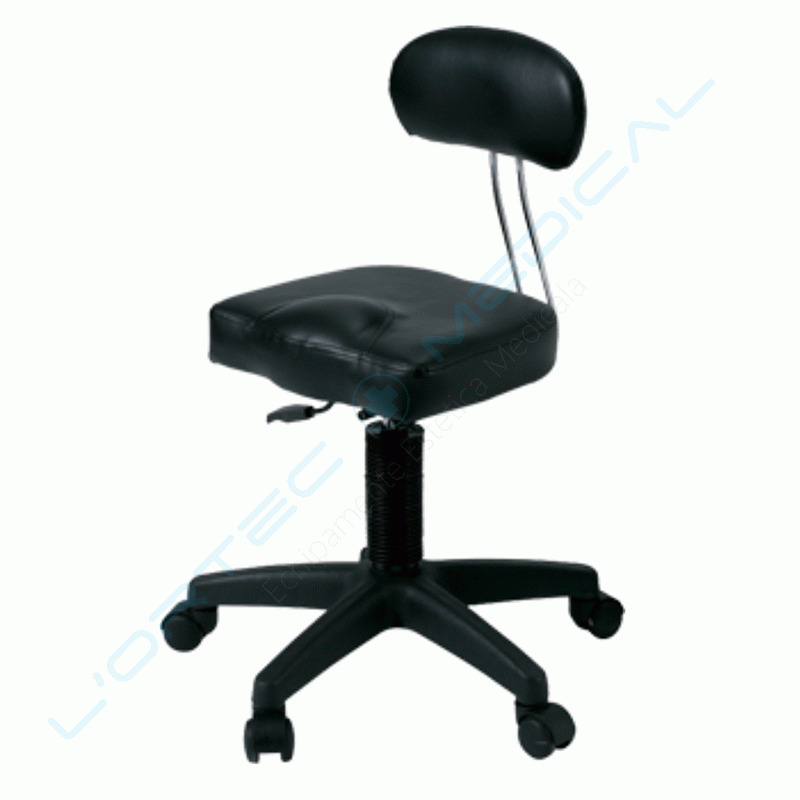 It also offers the possibility to manually adjust the backrest and footrest, and it has a fixed frame, for extra safety. The armrests are coated with the same soft material covering the entire bed. Nevis massaj bed, with adjustable height. Unlike exclusively fixed beds, Nevis can become mobile with the help of its three wheels, which makes it easier to move around in small offices that double as beauty salons. 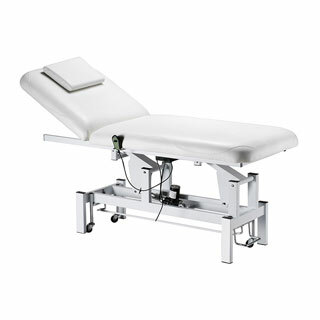 The adjustable height makes it easier for the technician to work without bending over, but bring the bed to their desired height. For the client's comfort, the Nevis bed has an extra pillow to support the neck and head.